India is a nation with numerous states and union territories that have similar underlying background but very different cultures, languages and ethnicity. In this respect, Belgium, though a country much smaller in size, is not unlike India. It too has a very diverse make-up with its French and Dutch influences. Its three regions too boast of cultural and linguistic differences along the lines of Europe. Wallonia, the French speaking southern region of Belgium, has seen its ties with India grow over the years in all fields of activity. Be it trade, bilateral investments or services. Wallonia has placed India at the forefront of its international partnerships. There is significant potential for further cooperation across a broad range of areas. According to the statistics of 2015, India is Wallonia’s thirtieth largest customer. The value of exports to India represents an amount of EUR 141.78 million. In contrast, in 2015, the volume of exports from Wallonia to India is equivalent to the total exports to Ireland and Slovakia (28th and 29th exporting countries respectively) within the European continent, or to Canada and the United Arab Emirates (33rd and 35th countries respectively) for exports further afield. As compared to 2012, exports from Wallonia to India have increased by 18.6%. In 2015, Wallonia imported EUR 45.22 million worth of goods, making it India’s 33rd customer. Chemicals and pharmaceuticals (14.75%), machinery and equipment (11.75%), base metals and textiles (3.56%) account for more than one third of goods and services imported from India into Wallonia. Imports into Wallonia have decreased by 11.8% since 2012. Indian investment in Belgium has exceeded Belgium investment in India mainly by way of acquisition of Belgium firms by Indian companies. As of 2015, Indian investment in Belgium was more than US$ 1.5 billion. Over the last years, the Walloon government has opened an Indian Subcontinent Welcome Office, which offers Indian investors an easy and very flexible opportunity to jump on the European market. The Welcome Office acts as a centralized repository of information related to Wallonia, such as financial incentives offered on salaries, direct investment or on corporate taxes, the workforce quality, the procedure to establish a company, cost of living, etc. There has always been a very high interest from Indian companies toward Wallonia, with big groups such as Tata or Jindal setting up their operations. Lately SMEs too have shown a high interest in expanding their activities in Europe using Wallonia as their base. 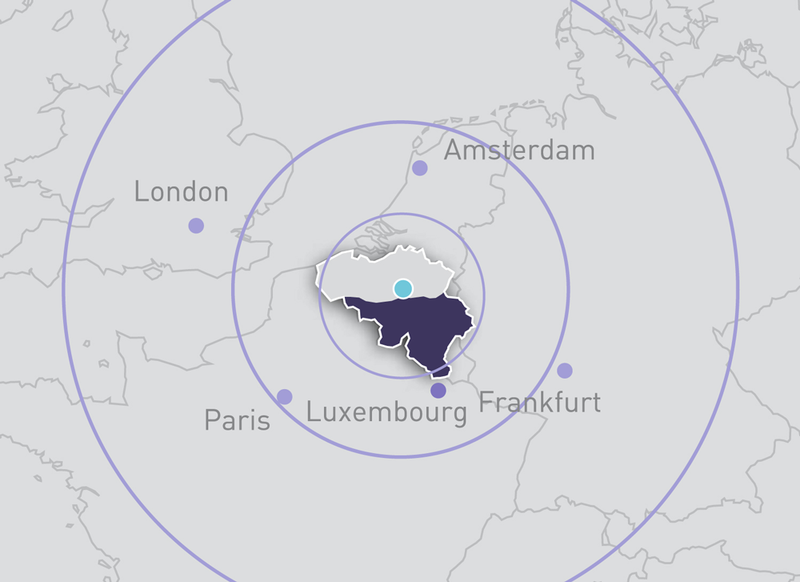 Some other companies from India that have set up base in Wallonia include Aricent Technologies (Holding) ltd., Braj Binani Group, JJ Exporters ltd., LED Concepts and Design Pvt ltd. among others. Cumulative FDI inflows from Belgium were around US$ 0.81 billion during the period from April 2000 to June 2015 which is 0.32% of total FDI inflows into India. Belgium ranks 22nd among investors in India. While Belgium’s total outward investment is USD 450 Billion, its cumulative FDI into India being only USD 0.81 Billion indicates that there is significant potential for Belgium’s investment in India. Wallonia has its presence in India through its trade offices that assist companies both from Wallonia and India in conducting business with each other. Some companies from Wallonia that have a major presence in the Indian market include Gantrex, Hamon Cottrell, IBA, Lisam, Magotteaux, Prayon, Schreder, and others.